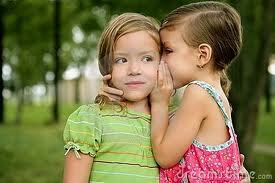 So long as you’re the whisperer or the whisperee, whispering must be one of life’s sweet graces. It’s been so for me as long as I can remember. Eight years old. In my ubiquitously pink bedroom. Unable to sleep. That’s when Mom comes in and sits at the edge of my bed. She rubs my back, tells me she loves me, and then whisper-sings “This Land Is Your Land” for as many verses as necessary before I’m fast asleep. Eighteen years old. In my little sister’s room. Just home from a date. I’m heeding her strict orders to say goodnight and fill her in on everything, while defying Mom’s orders to let her sleep. We keep our voices to a whisper while ten-year-old Meghan worries that I’m a sneeze away from getting married and leaving her, and I tell her she’ll always be my sister, no matter what. Twenty-one years old. In my college dorm room. Too late, considering I have an 8:00 a.m. class the next day. My roommate and I say whisper-prayers from our bunk beds, telling our dreams to each other and to God, asking him to show us the footsteps he wants us to follow. Thirty-three years old. In the same pavilion where Daniel and I went on our first date. My heart pounding, my eyes welling with happy tears. His eyes are locked on mine, his knee is bended into the rock-cobbled ground. “Will you marry me?” he whispers. There must be something magical about whispering that gives us the courage to share things we’d never share under the bright lights of the public eye. And I have to believe there’s a special bond that forms in those moments, a kind of whisper-intimacy that is knitted together with invisible threads of trust and sound waves. When someone says something in your ear, you know those words are intended for you, and you alone. There’s no other audience. The message is so intimate, so precious, that the only space sacred enough for it to be shared is in a whisper. The prophet Elijah received a whisper-message himself. I wonder if he was secretly disappointed at first that it didn’t come in more dramatic fashion. After all, it came on the heels of one of the loudest miracles of the Old Testament—the contest on Mount Carmel when God soundly trounced the false god Baal (1 Kings 18). So it doesn’t seem like too much for Elijah to expect a big sign when he felt alone and needed to hear from God. No, God didn’t speak in the form of anything so public as a windstorm, an earthquake, or a fire. He spoke to his beloved Elijah in a gentle whisper. Not because his voice couldn’t get loud enough or because he wasn’t able to perform a big miracle, but because he had something sacred, something intimate, to share with Elijah. Something intended for his ears alone. That same God is whispering to you today. Can you hear him?